Q: Is there anything call dance yoga? I joined a session of Aerobic Dance / workout sometime ago and i found that it is what i like to do, but i have no idea it is yoga/dance or the combination. 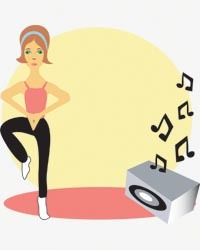 But it is definitely not just stretching, it has music to go with it and sweat a lot …. what lesson am i looking at? please enlighten me. thanks. A: There are several places in KL which are currently offering Yoga Dance however I don’t think it has taken off. Basically Yoga Dance is a continuous series of graceful movements derived from Yoga postures. The movements are done with music and most schools emphasize the fun element in it although some practitioners believe that proper practice of Yoga Dance can increase and transform one’s life-force energy into a higher inner power. Some practitioners such as Sarah Brumgart have dancing/gymnastics background and she combines this with yoga postures to deliver a graceful yet unique art. In Malaysia we have a somewhat limited offering. Les Studio in PJ is currently displaying a big banner for their Yoga Dance classes. Other than that, The Dance City in Desa also offers classes in Pandan Indah and Kinrarra. I believe Yoga Zone had classes before but not sure whether their teacher Nancy is still there or not. Yes I am still the director of the Yoga Dance dept. at Yoga Zone.